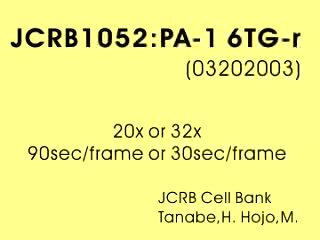 Human teratocarcinoma cell line PA-1 with 6TG resistance. 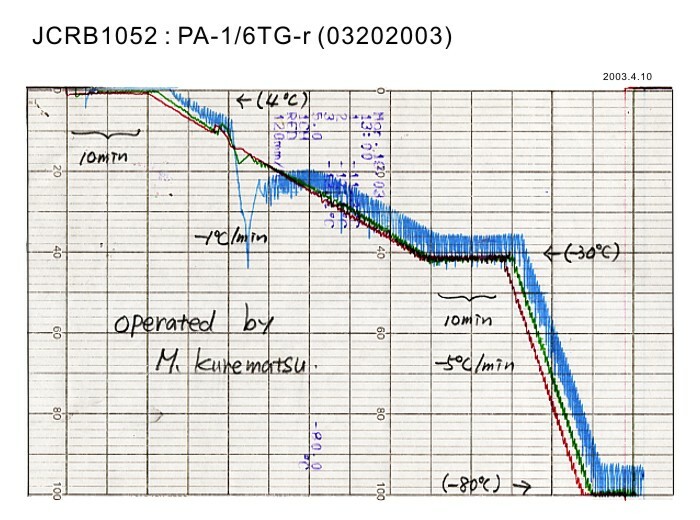 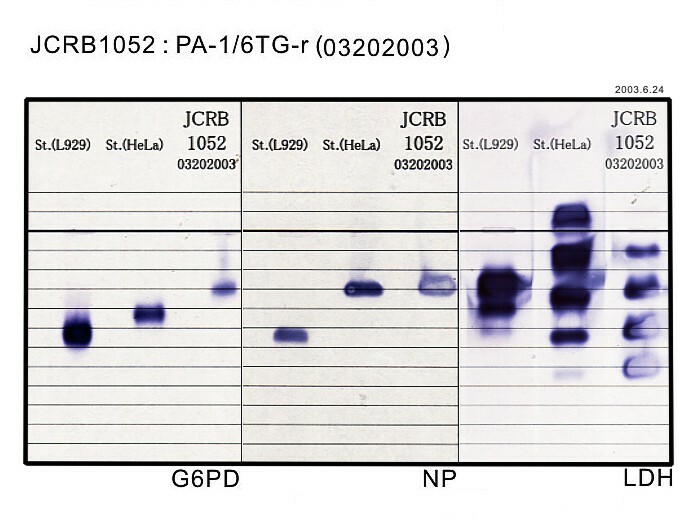 6TG resistant (HGPRT negative) was introduced by the depositor. 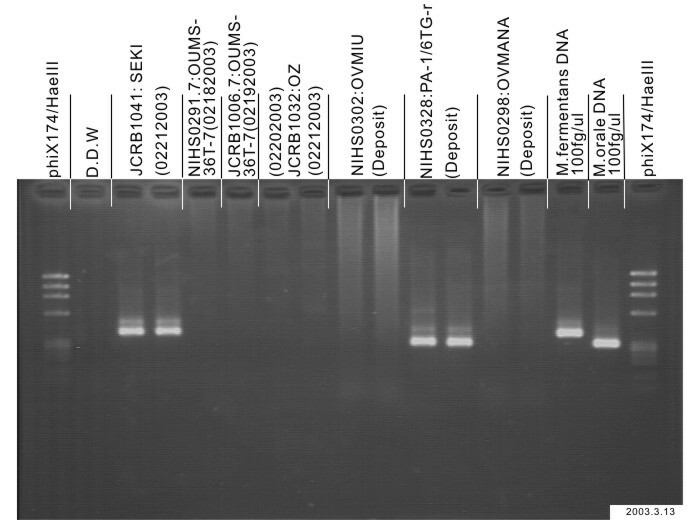 87% cells have near diploid chromosomes. 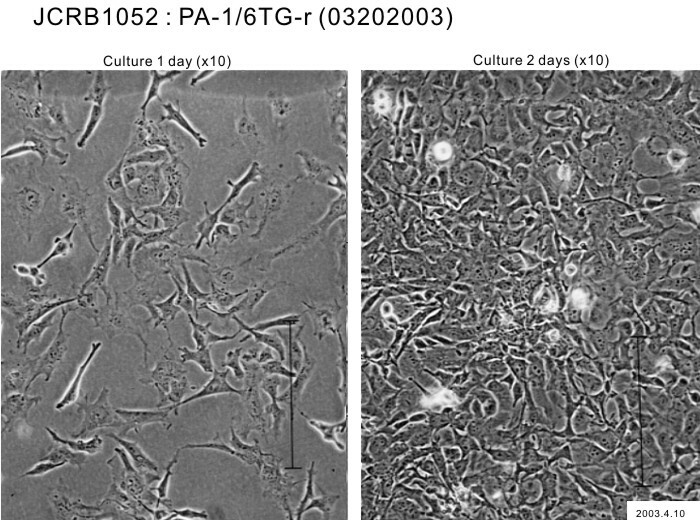 Teratocarcinoma cell line with 6TG-r, the cell line show significant alterations in various malignancy-related phenotypes along extended passages in cell culture. 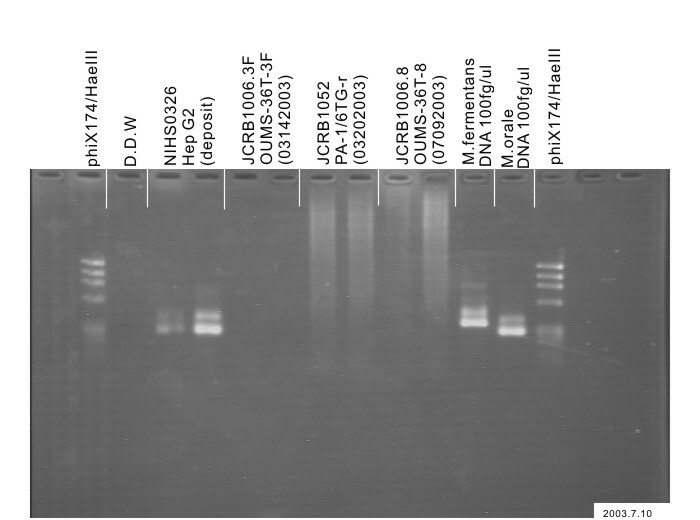 Eagle's minimal essential medium with 10% fetal bovine serum. 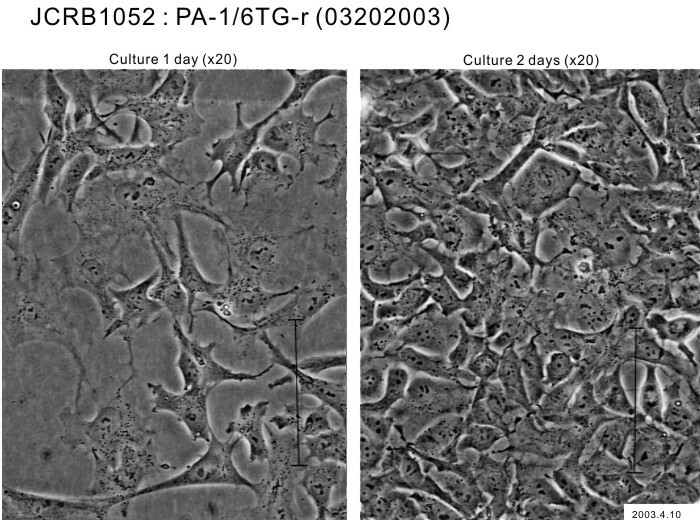 Cells were harvested after trypsin treatment or pipetting. 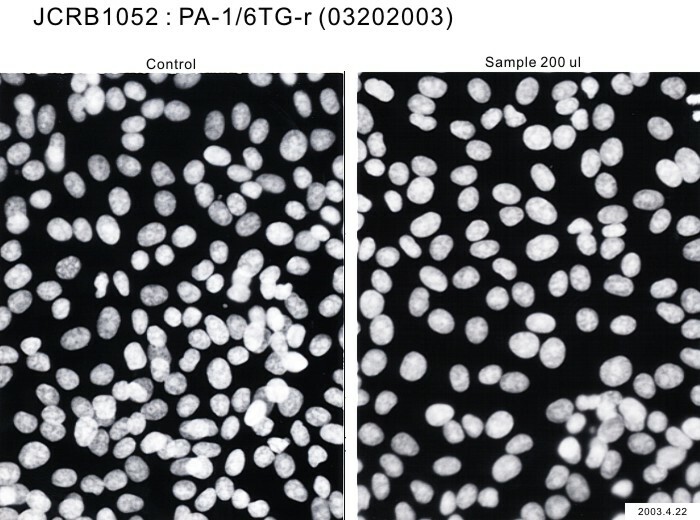 Cytogenetic characteristics and p53 gene status of human teratocarcinoma PA-1 cells in 407-445 passages.